As young children, we were always told to ask questions if we didn’t understand something. We were told that there was no such thing as a “dumb question.” We were taught that it is better to seek the truth, than to assume something is right. This guidance drives the foundation of knowledge and helps us create our own theories and doctrines. This knowledge is further developed through our ability to communicate with others in order to seek the answer. Communication is key in our ability to create and establish strength in our thoughts and wisdom in our practice. 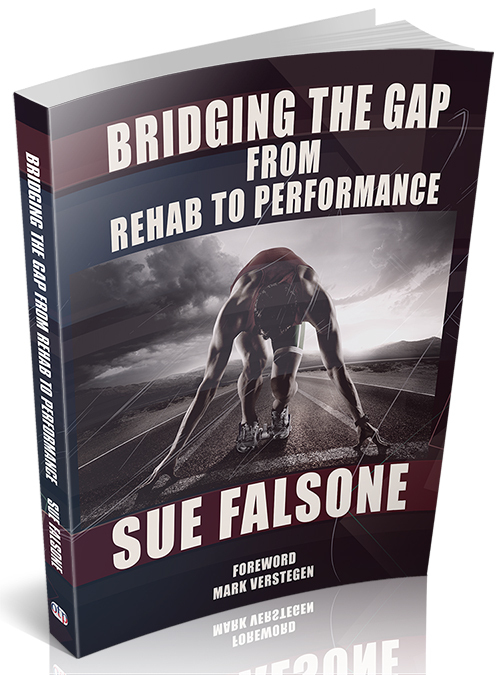 That said, communication is sometimes lacking, contributing to our inability to bridge the gap between rehab and performance. More and better communication is needed between exercise specialists and the doctors, nurses, physical therapists and nutritionists who also treat our clients. Many times, in my career as a strength and conditioning coach, I have heard from other personal trainers that they can’t believe a physician prescribed their client medication rather than encouraged exercise as a way to combat an unhealthy lifestyle. At some point, we have all come across this miscommunication as a coach, friend or family member. This is where I feel we can broaden our understandings of why other professionals might prescribe in the ways which they sometimes do, ways that are vastly different than what we, as exercise specialists, have been taught. In 2009, I was in my final year of undergrad, I decided to take a temporary leave from Sonoma State University because I believed there was more to training than using the same textbook approach when training clients. I believed that the 74-year-old grandma could not be trained the same way as a 24-year-old male. I knew that what I wanted to learn couldn’t be taught within the walls of the university and I knew there was a gap in understanding how to appropriately provide programs to two different individuals. I wanted to find out why. At the time, I didn’t understand how the “norm” fitness models and progressions applied to everyone. I didn’t understand how researchers could come to a conclusion with such a controlled environment and expect us, as coaches, to apply that in the same fashion. I couldn’t understand how I would use this information to train people when the tests they administered weren’t deemed “functional” to daily living. It’s important for me to say that I did not think that any of these findings were necessarily wrong. My ignorance was high during 2009, but I needed to better understand how to incorporate these research findings into my own clients’ lives simply because none of the available information seemed to quite match up with daily lives of my clients. Early in my career, I was hired by the Fresno Monsters, a juniors’ hockey team. I was from a baseball background . . . I had no idea how to train hockey players. 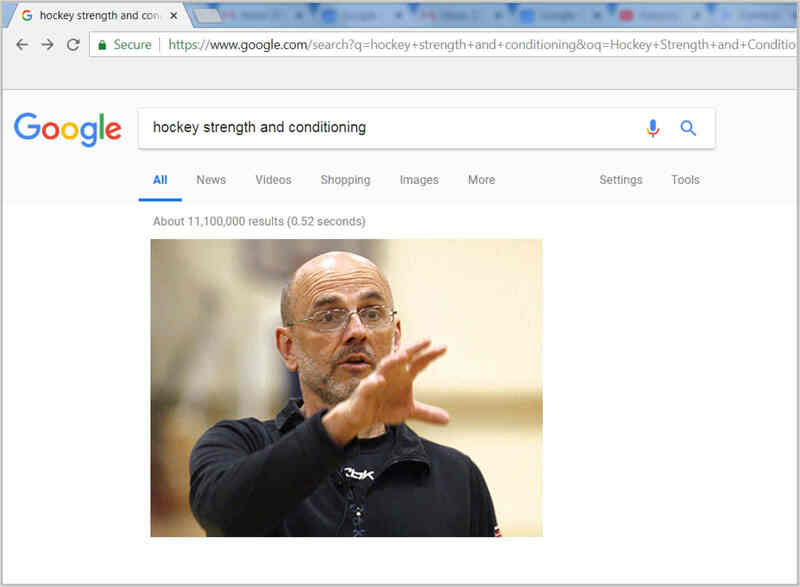 All I knew was that the players were athletes and worked hard, so like anyone who is first learning, I simply typed “Hockey Strength and Conditioning” into Google and saw a name pop up numerous times: Mike Boyle. I didn’t know who he was but figured if his name pops up more than any others, then I might want to subscribe to his email list, which I promptly did. I read intently. Six months later, I boarded a plane and flew out to hear Mike speak. 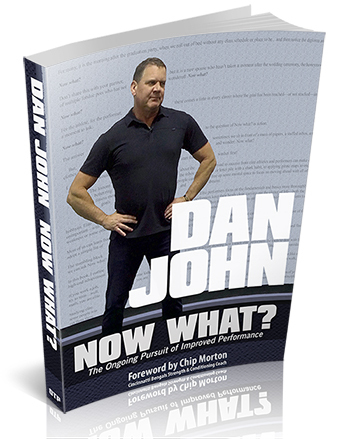 As luck would have it, being at the right time and in the right place and having a curious and eager mind found me in a conversation with Dan John, one of the most influential leaders in the exercise industry. Dan John told me two things that first night that, “Show Up” and “Make a Difference.” These words would resonate throughout my career but didn’t make the biggest impact until 2014 when I started working with patients with cystic fibrosis. Soon, I learned about multi-disciplinary, interdisciplinary and trans-disciplinary communication and cohesion — where I believe our gap in the fitness industry is when it comes to rehab and performance. The relationships we have with the medical community are far more powerful than the exercises that we learn off the internet or from a two-day seminar. Often, we work within a multi-disciplinary approach: We know the client is seeing a doctor or other care provider, but we do not know what types of recommendations or plan of care the client is being prescribed to work on their health. Of course, not all information is intended to be shared, but problems in our field arise when we are unaware of health/medical recommendations that can potentially impact exercise. 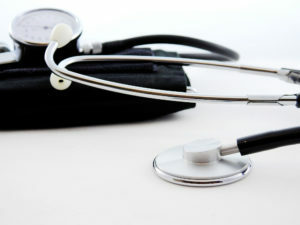 A common example is a doctor prescribing high blood pressure medication. As an exercise specialist, we know that we do not want to red line our clients from a cardiovascular training standpoint. However, with a multi-disciplinary approach and no communication, we may not know that our client is experiencing such a health concern. Now, in an interdisciplinary approach, we are in full communication with the medical staff and progress and/or regress their exercises and programs based on a collaboration with the medical staff and other professionals. This can be the most effective way to program, but we have to be honest with ourselves as well. When you train a lot of clients, it is extremely hard to set up multiple calls and conversations with other professionals to stay up to date. Nonetheless, this form of communication is key to bridging the gap, and some form of this approach should be highly valued and sought out as a trainer. The most effective approach for us as coaches and trainers is to take on a trans-disciplinary approach. This approach is a paradigm where we (medical and personal) progress to reach a common goal. We use what we have heard from the medical staff and use their perspective, as well as our own, to help our clients reach their goals. There are many ways this can be accomplished, such as contacting medical clinics and setting up times to talk with the doctors and medical staff in the area to better understand their environment, process and knowledge, as well as learn a little bit about the medications and recommendations, all of which will go a long way. I understand there is already a lot on your plate. I know if you are dedicated to your craft then you are showing up early to train your clients and spend hours outside of the gym, programming and taking calls to help them. However, I am not talking about your passion and effort levels with your clients. 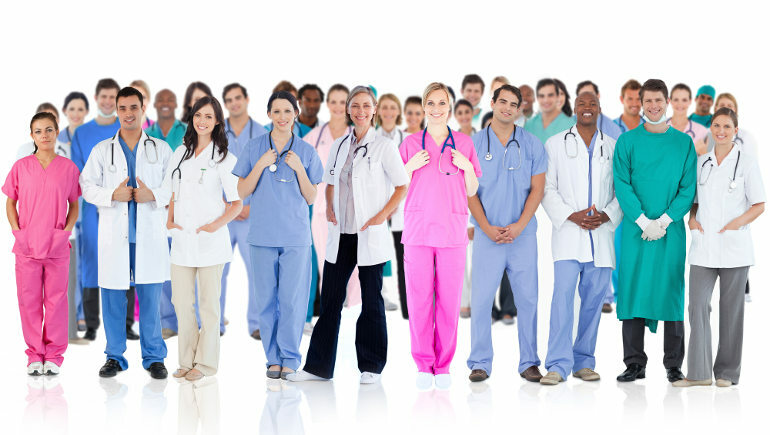 I am talking about expanding the textbook role of an exercise specialist and reaching out to other professionals working with your clients and talking with the physicians, nurses, occupational therapists, physical therapists, speech therapists, clinical nutritionists and social workers, who may also interact with our clients. Now, some of these relationships may not apply to you based on the population you work with, but most clients I know do end up seeing one of these specialists at some point while also training with me. Collaborating with these professionals can give you great insight on how to improve your approach to working with your client. In turn, you can also give great insight and help to their professional community as well. I believe we have bridged the gap with the tools we use to help our clients and athletes progress, but I don’t think we have bridged the gap with communication between the medical staff that provides healthcare for our clients. I would have never known that individuals with cystic fibrosis can spend up to two or three hours a day just fighting CF. That changes things when you are looking to write a program for them. While I realize that I am working with a very specific population, it has taught me that learning from the medical community and health environment as they relate to your client, can be very impactful. It is important to remember that we hear what our clients tell us . . . not what the physicians told them. The context of the doctor’s conversation with the patients and our conversation with them may be altered and formed through a biased opinion based on what clients took in and accepted. How often do we see the client immediately after a doctor’s appointment? Almost never, which gives them time to forget, change and alter what they perceive the doctor told them and adjust the information to meet their personal needs and desires. It is only human nature. We should seek understand the professions of those who interact with our clients by taking on a more trans-disciplinary approach. We should actively communicate and collaborate with other professionals to provide the most effective care for our shared clients. Doctors are doing their job based on what they were taught in school and what they have learned in practice. They are held to a very high standard, so when they do not prescribe exercise, perhaps it’s because they do not want the patients to overexert and further hurt themselves. Have you ever written a program for a client and they go twice as hard because they thought more is better? The doctor doesn’t want the patient to put himself in harm’s way, so he or she prescribes conservatively and accordingly. Remember why you got into this industry: To help improve the quality of life in your clients. I know many doctors, nurses, physical therapists, nutritionists and other specialists, who are all driven to do the same. They’re all still learning. We are all specialized in our own fields, all taught differently with diverse backgrounds. It doesn’t mean one way is better. If we learn from each other, we will form the best approach possible. 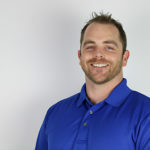 Taylor Lewis is an exercise physiologist and strength coach who specializes in working with pulmonary patients and professional baseball players. He is the founder of the Pulmonary Performance Institute where he spends his time collaborating with Stanford Cystic Fibrosis researchers, conducting exercise research studies and working with pulmonary patients to improve their quality of life through exercise programs. Taylor Lewis trains professional baseball players, and he trains adults with cystic fibrosis. In this talk, he explains the similarities and differences, and describes how to use this knowledge with general public training clients.